Pollachi is full of extraordinary stories. 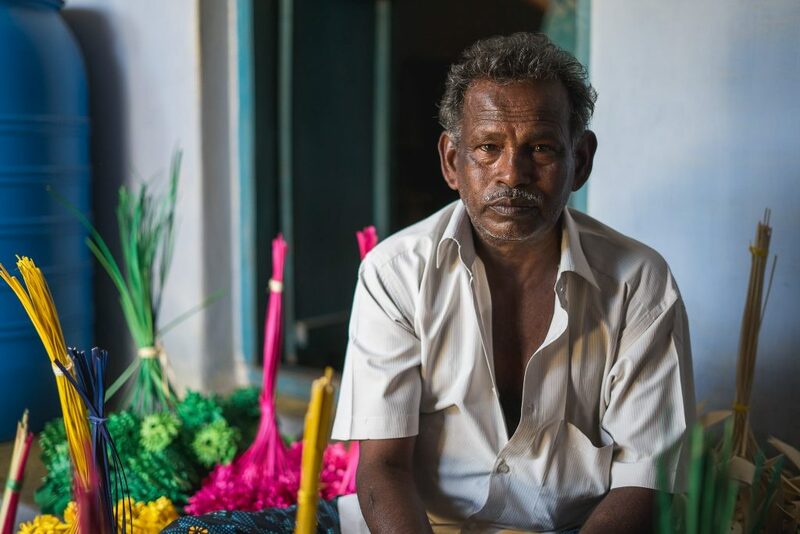 Of the many heartwarming souls lighting the spirit of the town, Krishnaswamy’s story is a crafty one. 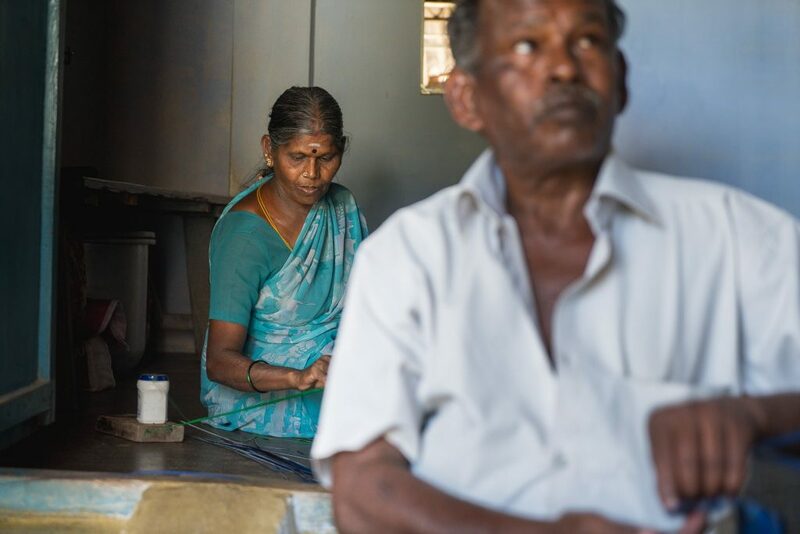 We had the privilege to meet this talented artist during our Discover Tamilnadu trip. Not many would find a purpose in the fallen palm leaves. But he did. 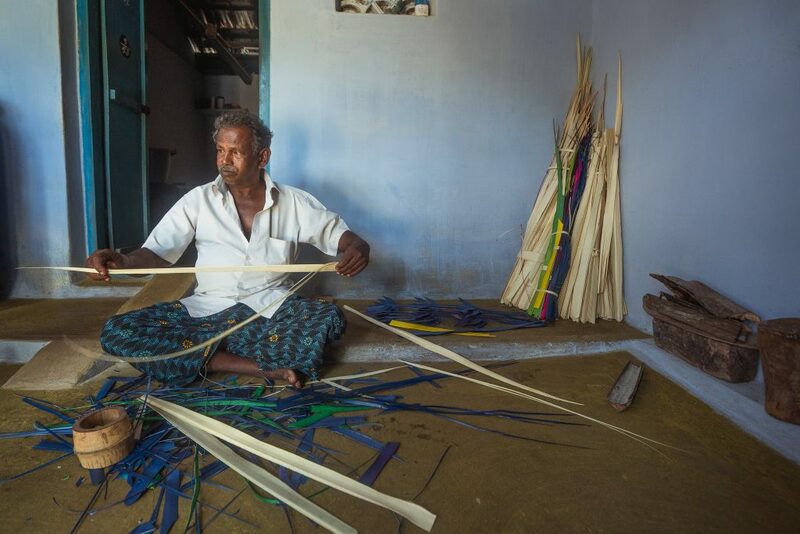 He is the 3rd generation craftsman in Bodipalayam, who makes creative objects out of palm leaves. Doing something for 50 years is no hobby. 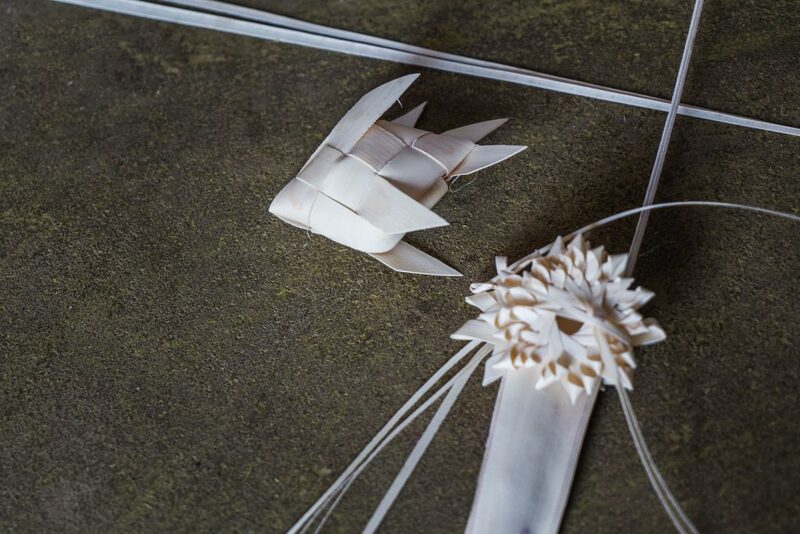 Today the objects he creates are sent across the country, finding their place in decorating the marriage ceremonies, family functions, temple festivals and more. It was amazing to see the amount of heart he has invested in this art, and it is no easy job for the sharpness of the leaves cuts his fingers neat at many instances. But there is more to it than the pain. “In the 60 years that I have come through, from a tree climber to a craftsman, my love for trees is a never ending tale. All through the centuries, the leaves of the trees have been used for various purposes and I just found this way from my ancestors to portray their splendor” he said with a proud smile. We bought a handful of our favorite creations, and enquired the time taken for bulk orders. If you are planning to decorate a festive occasion at your home/office/temple differently, these little beauties will certainly have your interest. Let us know, we can connect you to him. 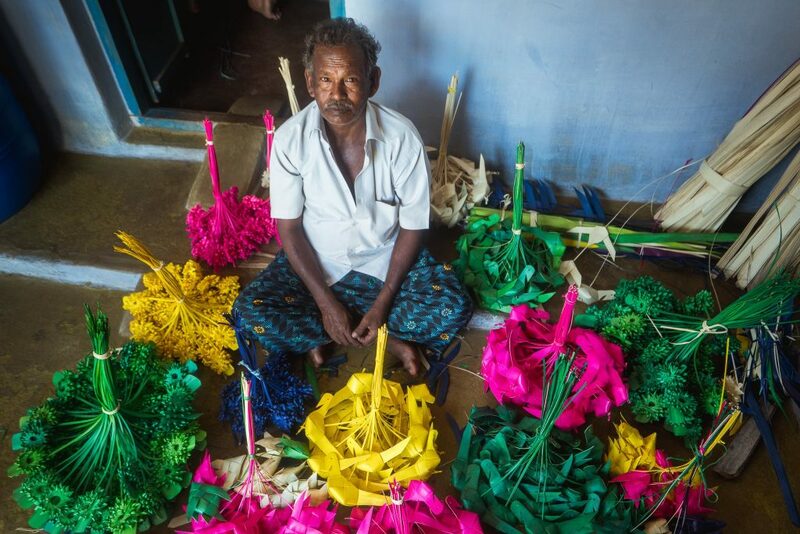 He doesn’t have a kid on his own but has taught this craft to a handful of kids in the village. 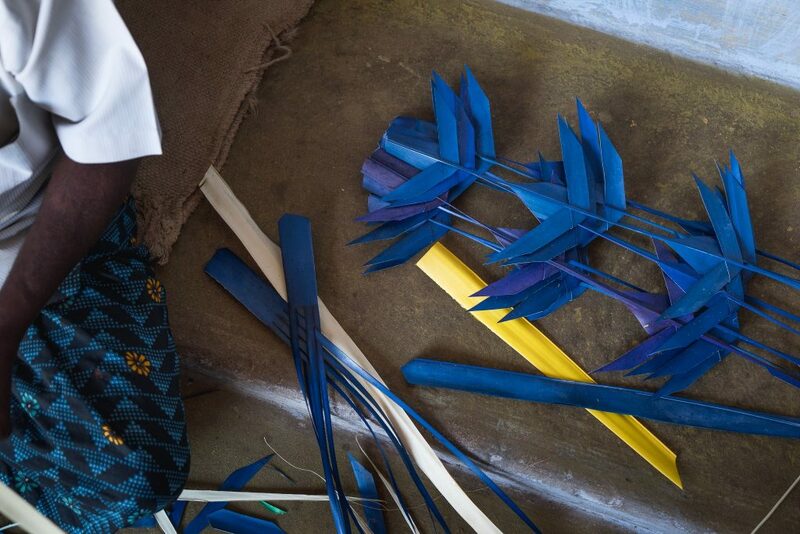 “Currently, as I take the fallen palm leaves and turn them alive into interesting objects, I feel responsible as a father of these creations. The empty space of not seeing a kid of my own around me is constantly filled by the life of these creations, to every deepest corner. I am happy” he said, as he finished making a blue fish. It did dive deep into our hearts.